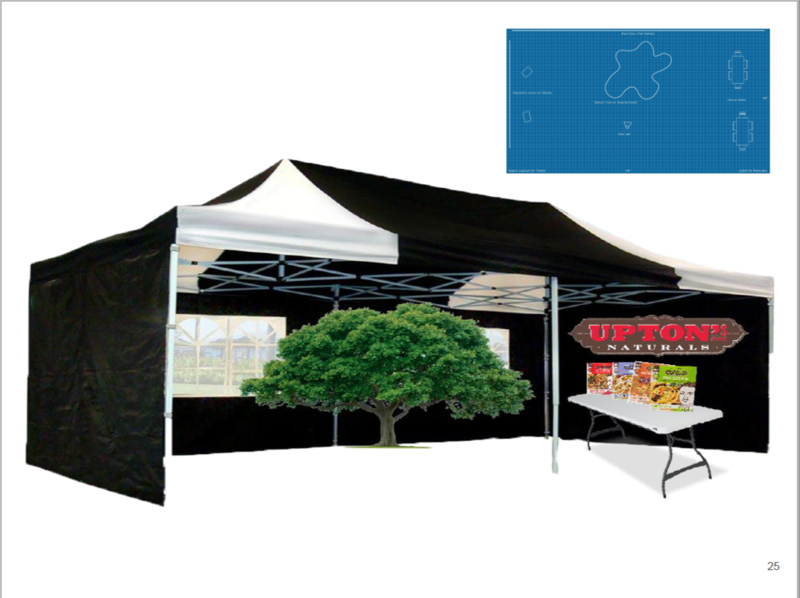 What is Upton’s Naturals? : Since 2006, Chicago-based Upton's Naturals has been committed to making delicious varieties of vegan products using real, simple ingredients. 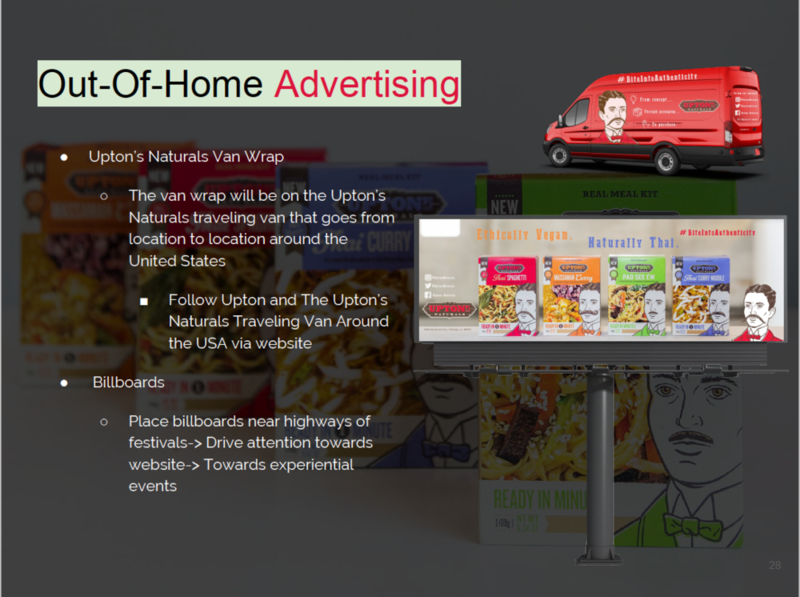 Founder and president Daniel Staackmann hopes that by cooking with Upton’s Naturals, more people will see how easy and tasty vegan eating can be. 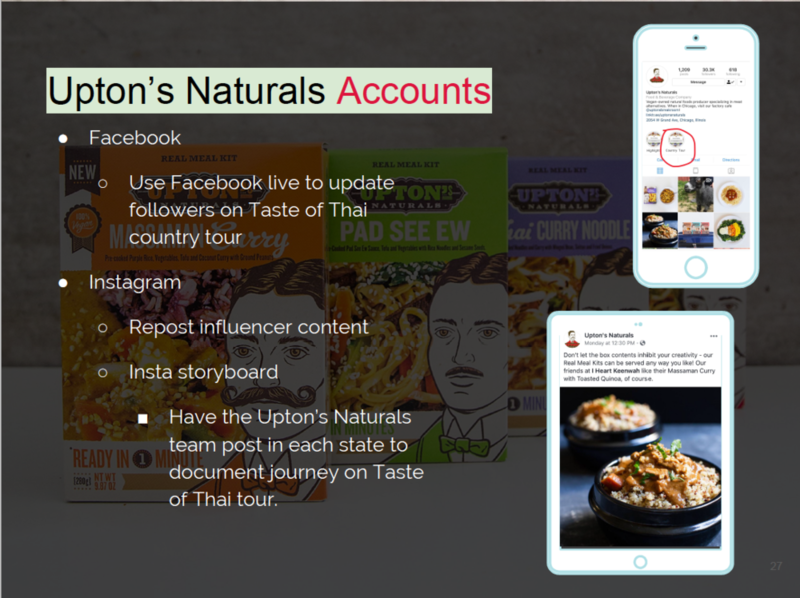 Upton’s is continuing to grow in 2018 as the premier vegan brand, offering four Real Meal Kits and two pre-cooked Ch’eesy Mac options, all of which are shelf-stable. 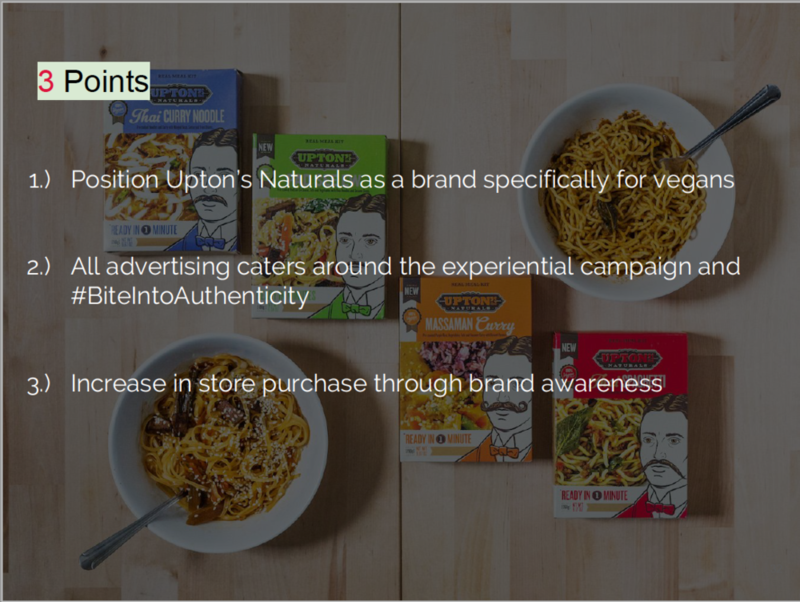 Objective of campaign: How can Upton’s Naturals increase shelf sales in the retail environment while staying steadfast to its core values and consumers in the vegan market. 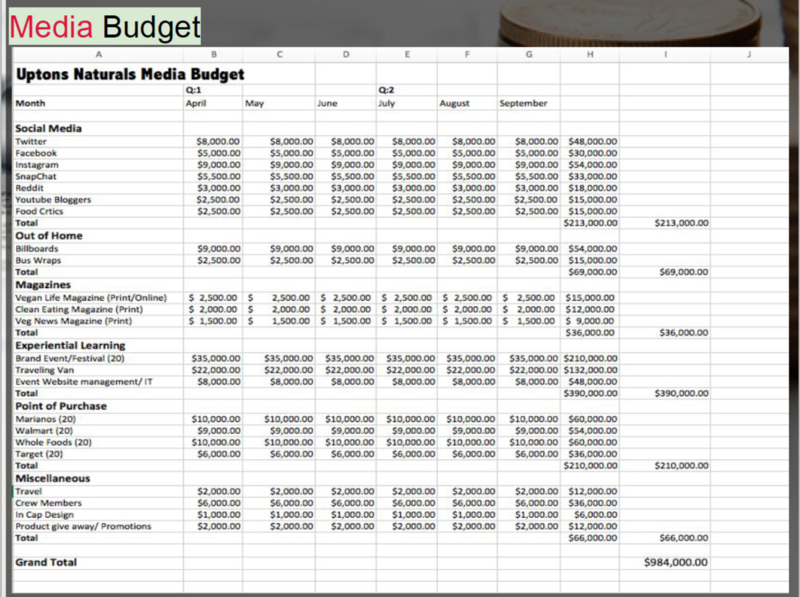 My contribution: In this campaign, I ideated the main idea, wrote the copy, and served as “co art director” on half the designs. As my team’s leader, I lead us to victory in our class competition. 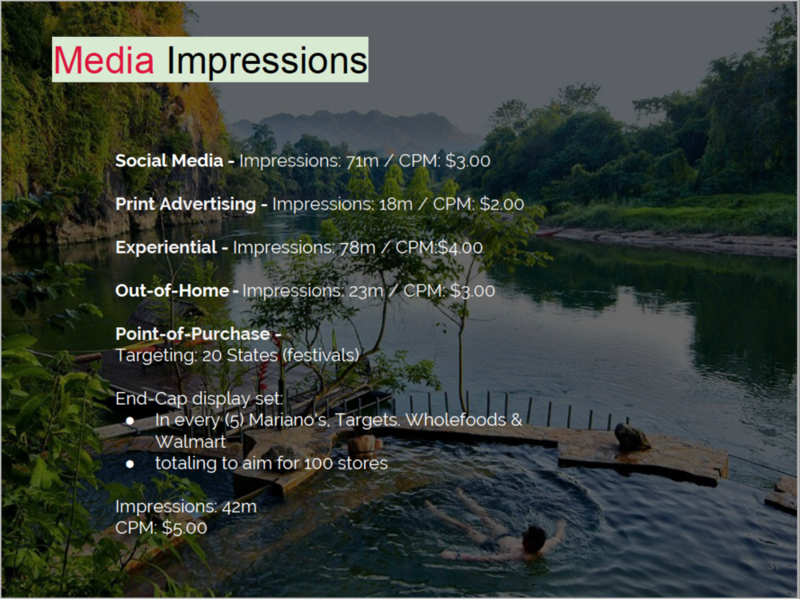 Awards: This campaign was presented by my team to the CEO of Upton’s Naturals as part of a class competition at Depaul. 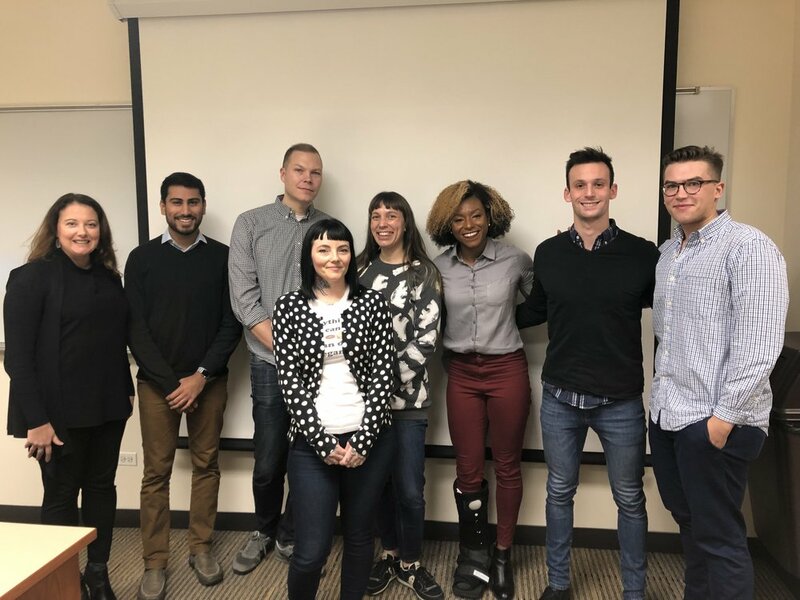 Out of 9 teams who created campaigns, my team was unanimously declared winners by the CEO and board staff of Upton’s Naturals.